See report on maximizing IT reliability through service automation. Learn how ITSM is evolving. Enable management of the configuration items that make up the business services and IT infrastructure supported by your service desk. Define, identify and report on configuration items across the IT landscape. 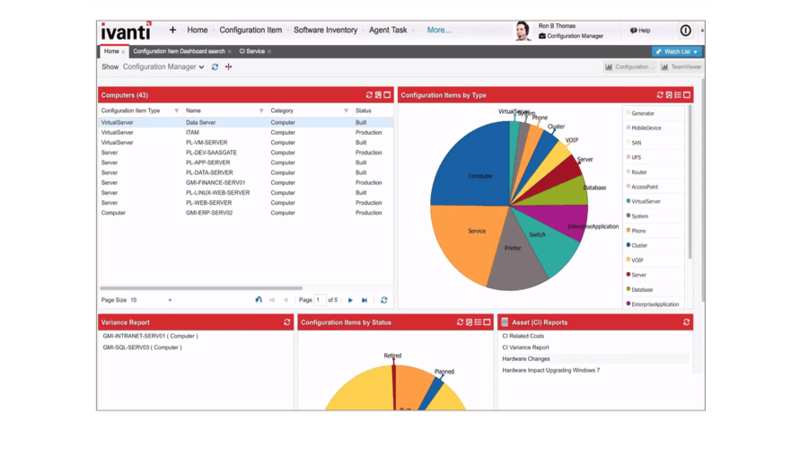 Perform configuration management analysis so proper monitoring and cost savings can be achieved. I could see straight away that we were purchasing a very powerful and configurable tool, and the ‘out of the box’ processes available with Ivanti mapped well with our implementation designs.